Despite his Jan. 11 announcement about quitting music, Lil Uzi Vert is back. This prior announcement whipped his considerable fanbase into a frenzy, leaving his fans in a panic over the future of the beloved rapper. Would he drop his promised album? Would he drop out of the public eye completely? Was he really deleting his entire library of music? On Monday, the Philadelphia-born rapper silenced the questions by dropping a pair of singles, “Sanguine Paradise” and “That’s A Rack,” breaking his short-lived retirement. Released through Atlantic Records/Generation Now, the tracks are presumably off of his upcoming album, Eternal Atake. This project has been rife with controversy thus far. While Uzi claims that his record label (specifically DJ Drama) are preventing the record from being released, Drama has publicly denied this sentiment. 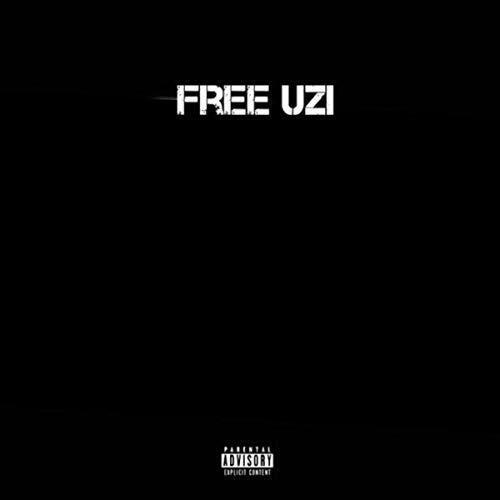 This beef inspired the earlier throwaway “Free Uzi,” which has since been deleted. Nonetheless, the songs are out on major streaming services, and they’re both bona fide hits. “That’s A Rack” will feel familiar to any previous fans of Lil Uzi Vert’s music. The instrumental is spare — there are some light and airy piano melodies in the background, with Uzi filling out with typical bravado and flare — allowing Uzi to carry the majority of the track. He sounds relaxed and confident, rapping about his wealth and women, occasionally stopping to comment on some of the trappings of fame. These more somber lines such as “got addictive personality, I turned into a fiend” carry the song’s limited emotional range, though Uzi soon grows bored of these semi-reflective bars and returns to his normal boasts. It’s likely not the sort of track that will reach the mainstream heights of “XO TOUR Llif3” or “The Way Life Goes,” but it is still a pleasant listen and will help assuage the demands of his supporters for new material. “Sanguine Paradise” is an absolute triumph. First, the beat on the track (produced by Oogie Mane and Brandon Finesse) is a masterpiece on its own. It’s immensely ambitious in its scope, with triumphant horns, booming 808s, captivating snares, entrancing piano riffs and plenty of filler sounds to further flesh out the instrumentation. The beat would be worth a listen on its own. Somehow, Uzi still manages to deliver a virtuosic vocal performance that bursts out of the frenzy of the instrumental to immediately vault the song to among the artist’s best. His flows and range are unmatched in the song, with his melodies and traditional rap bars perfectly complimenting each other. It’s both approachable for newcomers and nuanced for the committed fan, offering up a worthwhile experience for any listener. Lil Uzi Vert’s thesis on these tracks is perhaps best captured by his line: “In reality I’m 5’4”, stand on my money now I’m 6’6” in Sanguine Paradise.” Despite his diminutive stature, the rapper looms larger than life in his tracks and in the public eye. Uzi is back and it would be a shame to not catch these songs and whatever comes next.